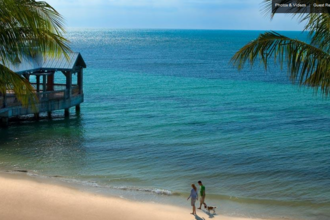 Key West offers a variety of accommodations from B&Bs to luxury resorts. The one thing they have in common? They may give you sticker shock. Limited space on the island, paired with high demand, equals less availability and higher prices. This presents a challenge for budget-conscious travelers. Fear not, you can still find hidden hotels that offer reasonable rates--mostly small independent B&Bs and inns. There’s a price you pay for paradise, and “reasonable” is anything under $200. Many of the least expensive properties like Speakeasy Inn and Caribbean House are privately owned. 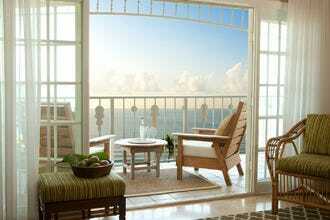 While the rooms may be small, the owners provide personal attention, making guests feel at home. 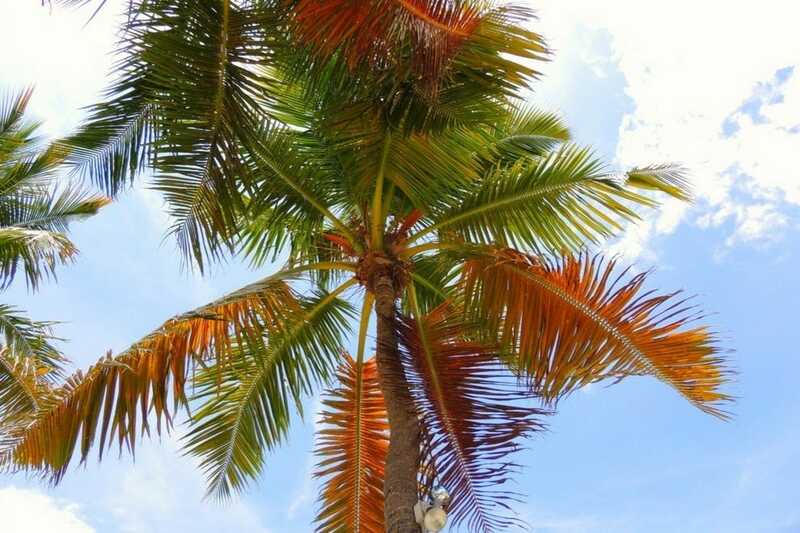 Charming B&Bs are tucked away in Conch-style houses, and the Historic Key West Inns has several to choose from including Key Lime Inn, Lighthouse Court and Merlin Guesthouse. While these spots might be low-frills, the free breakfasts help with food costs. To squeeze the most out of your savings, travel in the off season and on weekdays. 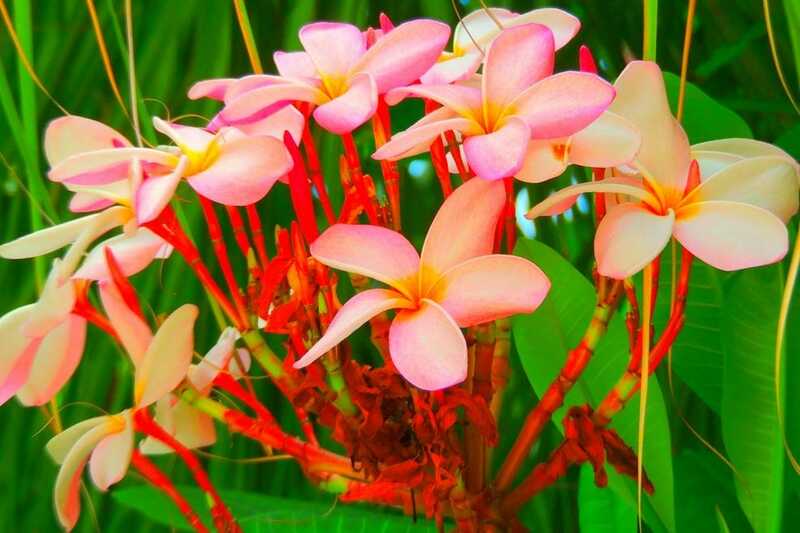 Check the Key West calendar to avoid festivals and holidays. Watch the hotel’s website for discounts such as AAA, AARP and special packages. 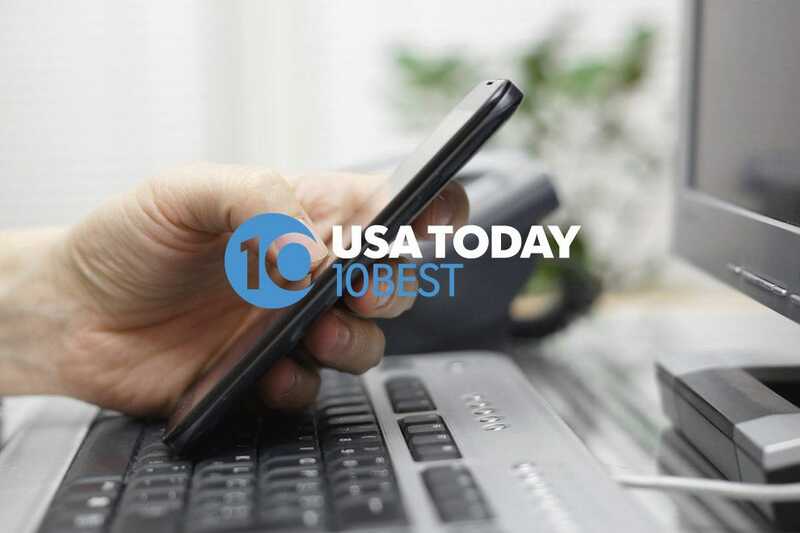 When booking, do it the old-fashioned way and pick up the phone. At these quirky properties, the rooms may vary significantly right down to decor. Use this opportunity to quiz the staff about size and location. Try these top ten budget hotels in Key West, so you can get the best bang for your vacation buck. A member of the Historic Key West Inns collection, this 37-room hotel is wedged in Old Town just two blocks from the nightlife scene. The inn's 3-diamond accommodations are geared toward couples, with all rooms containing a queen, or king-sized bed and sporting flat-screen LED televisions. The rooms are spread out over an acre of grounds filled with garden paths and tropical greenery, dotted with hammocks and swings. The main building is one of the oldest in Key West, constructed in 1854 and on the National Historic Register. Continental breakfast is available to guests and is served outside next to the heated swimming pool. Other amenities include free parking and Wi-Fi in the poolside area. Some rooms have a mini-refrigerator and coffee maker. 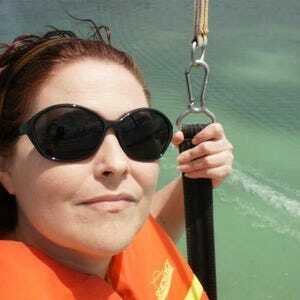 While they have great rates in low season, prices balloon in the winter months and holidays. 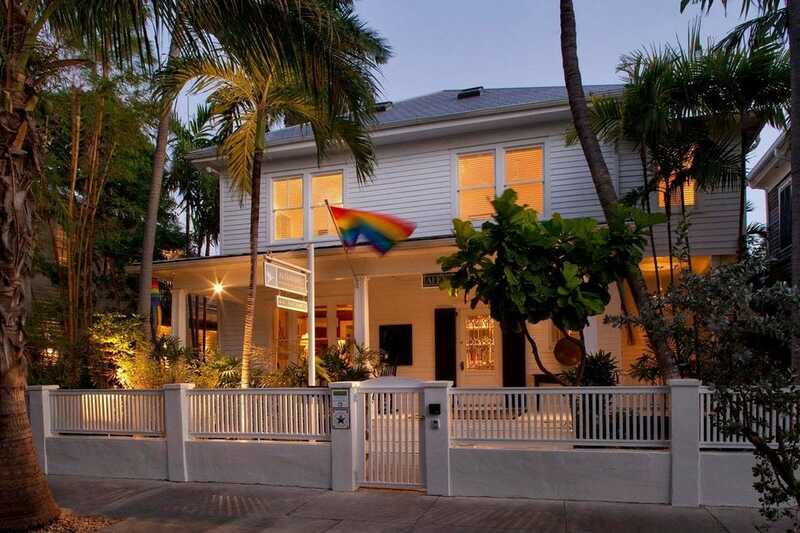 Not to be confused with the go-to gay B&B, Alexander's Guesthouse, Alexander Palms Court is conveniently located in the Casa Marina area of Old Town. 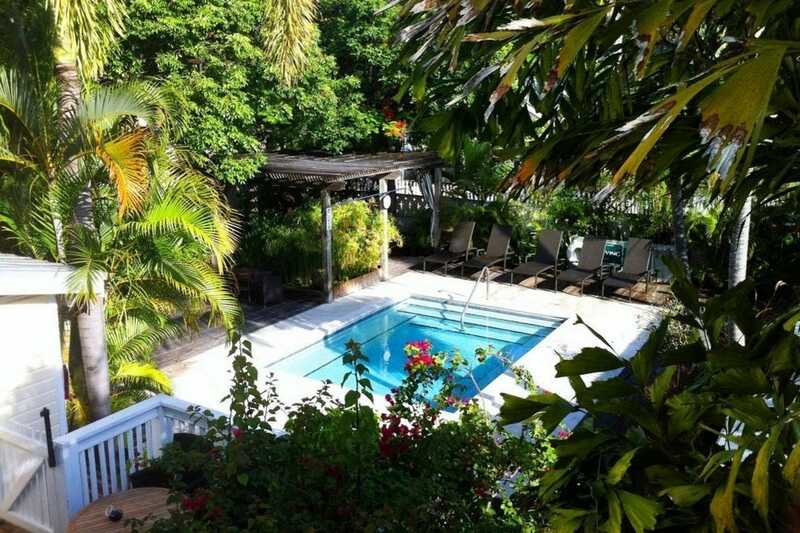 Only two blocks from the beach and Duval Street, the gated inn only has nine rooms grouped around a small pool and sunbathing area. Continental breakfast is served each morning in the garden filled with Alexander (King) Palms, which tower over the guest house. Rooms range from the basic standard to studios with kitchenettes. One-and-two bedroom suites have full kitchens and pull out sofas in the living rooms. While the decor may be a bit dated, it retains an old time Keys feel. The rates are reasonable, especially on the standard rooms. The larger rooms with kitchens offer a great value, as you can save money by not eating out each meal. Free on-site parking. In this Nantucket-style house, special touches like hand-quilted bedspreads, marble ceiling bathrooms and canopy beds set this cozy B&B apart. There are four types of rooms to choose from, each with unique decor (visit the website to see in-depth descriptions and photos of the rooms before booking). Most of the rooms can only accommodate two people, and children under 16 are not allowed. 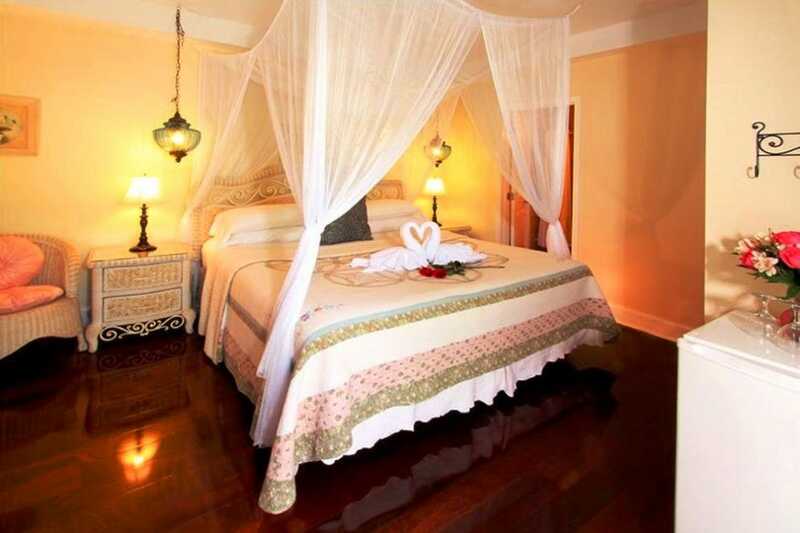 This ensures mostly couples as guests and a quiet romantic atmosphere. The second floor has a wraparound balcony, and in true Key West style, a complimentary expanded continental breakfast is served on the veranda facing Duval Street each morning. Other amenties include a small heated pool, mini-fridge in rooms, free Wi-Fi and coffee maker (upon request). Limited onsite parking is $20 per day and on a first come, first serve basis. Free street parking is nearby. One of the six quaint hotels owned by Historic Key West Inns in Old Town, Merlin Guesthouse has 20 guestrooms and Conch-style cottages spread out in four buildings. 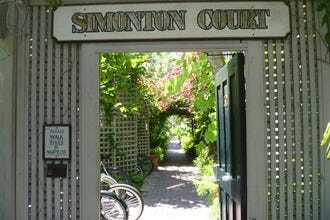 They share a shaded courtyard, featuring a lily pond where a free continental breakfast is served each morning. Their Economy Queen offers the best value, while the cottages can accommodate families. Curl up in a hammock for an afternoon nap, or take a dip in the outdoor splash pool. Free Wi-Fi is available throughout the property. 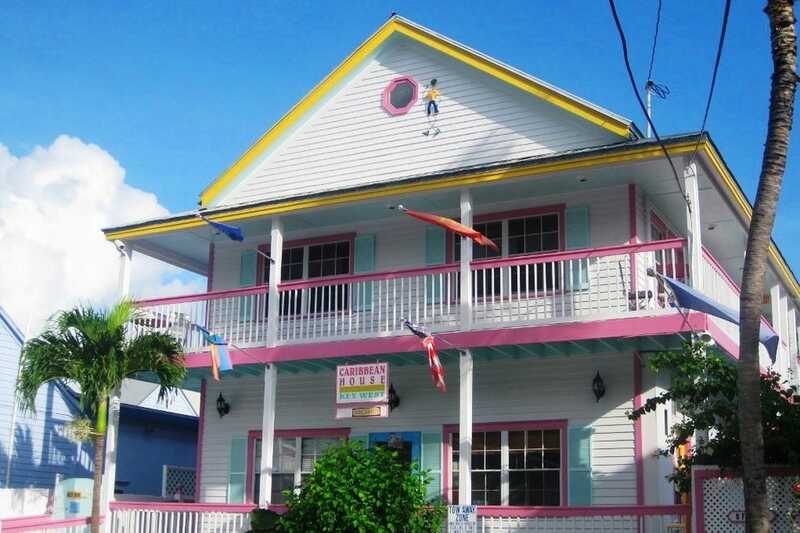 The guesthouse is conveniently located one block from Duval Street, and the beach is just six blocks away. While they do not have parking, there is limited room on the street and a pay lot nearby. Best Western's are dime-a-dozen, but the Hibiscus might surprise you. 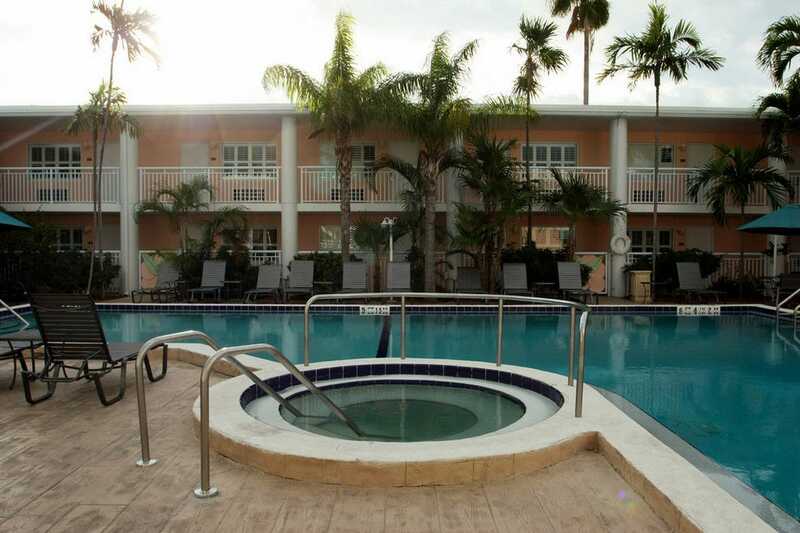 It's perched on the calmer side of Key West, but is within walking distance to Mallory Square, the local beaches and popular attractions. After a day of exploring, guests can lounge by the heated swimming pool or take a dip in the hot tub. Free amenities at this eco-friendly hotel include Wi-Fi, in-room refrigerators, microwave, continental breakfast and on-site parking. A variety of restaurants are located near the hotel, including Italian, American and Japanese cuisine. Check with the staff at the front desk for coupons for free items with dinner. The spacious rooms come at a moderate rate for the Old Town area. 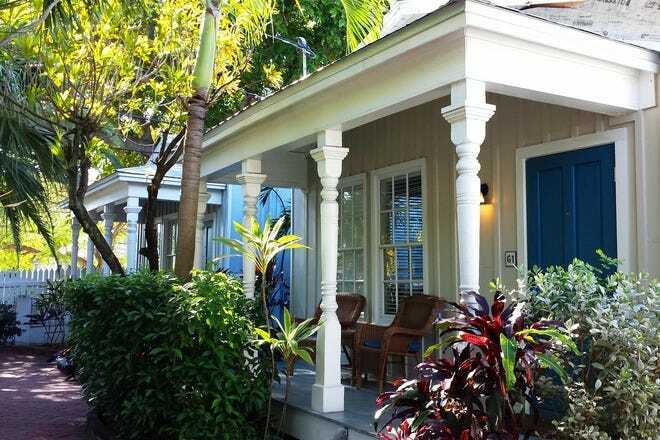 Across the street from the Hemingway Home and next door to the Key West Lighthouse, this quaint historic inn is comprised of ten conch-style cottages. Dating from 1890 to the 1920s, the cotages showcase charming Key West architectural details like tin roofs, wood siding, open porches and French doors. Owned by Historic Key West Inns in Old Town, the property has 40 rooms, all with unique floor plans and décor. If you're on a budget, their small standard rooms are your best bet. Note that prices go up significantly in high season. Wander the brick pathways past the lush tropical landscaping to the pool and Mojito Bar and Café. (Don't forget to use the 2-for-1 drink coupon you'll receive at check-in.) In the mornings, a light continental buffet is served poolside. In the Old Town district of Key West, Authors Guesthouse is tucked away near the Historic Seaport. This compound of historic Conch style homes, cozy suites and rooms is dedicated to the authors who called Key West home. Using eclectic decor, the owners pay homage to literary legends such as Tennessee Williams, Ernest Hemingway, Carson McCullers and Lillian Hellman. 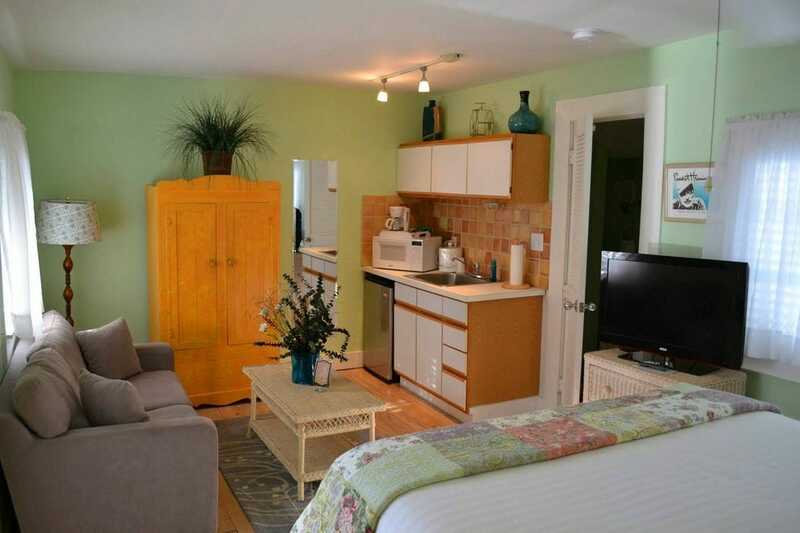 The cottages are convenient for families with full kitchens and a sleeper sofa in the living rooms. The upper level rooms in the main house have a private sundecks--perfect for couples. A complimentary continental breakfast is served on the lush garden patio each morning. Afterwards, follow wooden walkways to the pool with chaise lounges for a lazing the day away or surfing the free Wi-Fi. While it's a 20 minute walk to Duval Street, Authors has some of the best prices in town and a charm all its own. The premier guesthouse for gay and lesbian couples, this 17-room inn does everything right from the shaded pool and Jacuzzi to expanded continental breakfast and clothing-optional sundeck. In the heart of Old Town, this lovingly restored Key West Conch house, built in 1902, blends the original pine floors and stately windows with modern room decor. Black-and-white furniture is paired with zebra patterned rugs, over-sized animal portraits and splashes of red from Broadway posters and fresh flowers. Each day the complimentary happy hour at the Pink Monkey Bar is perfect for mingling with other guests. Ask anyone what makes Alexander's so special and they'll say that it is the kind, genuine, staff that truly embraces the "one human family" credo, which make travelers return again and again to this home-away-from-home. Of course, their reasonable rates don't hurt. Alexander's is adult's only--18 and over. Complimentary Wi-Fi is available throughout the property. As one of the cheapest digs in town, the Caribbean House is no-frills accommodations, but that doesn't mean it isn't a welcoming place to stay. It's pet-friendly, and the brightly-colored rooms are tiny but very clean (each opens to a balcony). The French owners are warm and helpful. Their location in Bahama Village can't be beat with the Hemingway House, Mallory Square and Duval Street just a short walk away. It's easy to leave the car, enjoy the free parking and forget about it for a while. Free Wi-Fi and mini-refrigerators are available in all the rooms. Be aware that coffee, tea and espresso are free to guests, but they don't serve breakfast. Not to worry, the popular Blue Heaven and La Creperie restaurants are just a stone's throw away. A rum bar and bed and breakfast combined, this cheerful Duval Street inn has a rich history as a former speakeasy. In fact, if you look closely, you'll see bottles carved into the woodwork--a subtle advertisement. Cozy up at the rum bar and try some of the Bahama Bob's famous "root juice." This rum connoisseur always has a captive audience waiting to try his tasty concoctions. Friendly owners make you feel at ease, and the continental breakfast is a bonus. Amenities include free Wi-Fi, coffee makers, refrigerators, microwaves and toasters. The inn is located on the south end of Duval (the quiet side), but Mallory Square, Sloppy Joes and the usual hot spots are easily accessible. 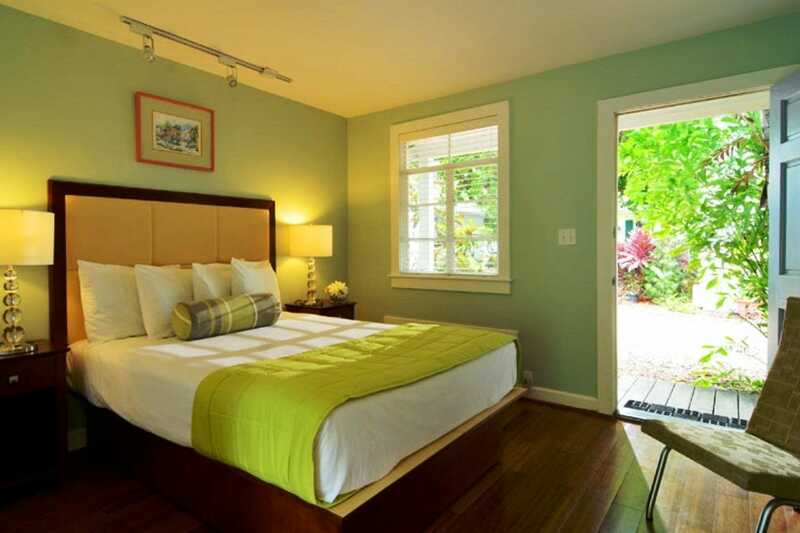 Room sizes vary, but the rates are some of the best you'll find in Key West.